Librarians HATE her! Find out how this one local student spent 24 HOURS in one week on social media with this one WEIRD trick! I’m addicted to social media, and I know it. In the past 7 days, I spent 6.7 hours messaging, 5.2 hours on Facebook, 2.8 hours on Snapchat, 2.9 hours on Instagram, 2.9 hours on Twitter, 1.9 hours on Safari, and 1.4 hours emailing. That totals to nearly 24 hours. I spent nearly an entire day of my life this week on social media. Is this a problem? 100%. Pathetic? Arguably. Devastating to my GPA and life in general? Surprisingly not. First of all, in my defense, I spend a lot of my time on social media reading the news. And while others split their time over desktop and phone social media, I almost exclusively use social media on my phone, racking up the minutes. This past week was syllabus week, meaning I didn’t have as much work to do. But those are just excuses. The true root of the issue lies in a social media addiction. Self-diagnosed, of course. I see my own addiction reflected in so many other people. When I finally put down my phone and get to work in the library, I look around and notice all the other people glued to their phones. But my personality is hard-wired to be this way. Personally, I believe my addiction to social media is rooted in my extroverted tendencies. I like to be surrounded by people. Whenever I am forced to spend time alone, such as in a library, I resort to social media to fulfill my social needs. I checked out a study and guess what I found: my Myers Briggs personality type is one of the most likely to use social media. I am an ENFJ, and we are the most likely to have a Facebook, second most likely to have a LinkedIn, and we spend more time interacting and sharing information than the other types. More introverted personality types, such as ISTJs, are more likely to think social media is a waste of time, or avoid interacting and sharing as much on social media. I’m very interested in the psychology theories about achievement. Some of the smartest and most academically successful people I know also are addicted to a certain vice, or they are just wicked bad procrastinators. Some of my friends suffer from the same social media addiction as me, and I see them glued to their phones as well. How is this possible that they balance academics and excessive social media use? Well, it’s us, the Millenials, back at it again. Apparently, we all do it. The average affluent millennial spends 53 hours per week online. This translates to about 7.5 hours daily, compared to the average US citizen spending 5.75 hours daily on digital media activities. That’s more than a full-time job. But just because millennials spend so much time on social media doesn’t mean we don’t value in person conversation. It’s actually the opposite. We seek out more offline experiences than any other generation. But the reason why we do it is to have more content with which to express ourselves on social media. Who would’ve thought that excessive social media use actually leads to more real-life experiences? Let’s really dig in now. In this class, I’m looking forward to exploring social media use more deeply. What characteristics, other than MBTI, impacts social media use? What psychological impact does social media have on individuals? How do companies properly appeal to their customer base on social media? I can’t wait to reflect on digital trends and keep up with this ever-changing digital landscape. Although I know this class will be intense, I haven’t been this excited about taking a class in a long time. …and more. That’s just a taste of what I’ve got in store—please leave comments about digital food phenomenons that interest you and I’ll consider writing about it! So, what’s my “one WEIRD trick” for spending so much time on social media? Even if you don’t realize it, I bet you do it too. Katherine, I loved your blog. The first thing I did while reading it was to check my battery usage as well, and unsurprisingly, Messages and Facebook were the most frequently used! I liked the fact that you addressed our generation’s addiction to social media, but it was great that you observed that it’s what we do on social media that counts, such as reading the news and gaining knowledge through social media, rather than, perhaps, “wasting time.” I agree that social media adds to more real-life experiences, and am waiting to see what your future blogs on digital food entail! One of the digital food applications I would be interested to hear more about, would be leveraging social media for recipes and cooking from scratch with the “leftover” ingredients at home. Thanks for the comment! It would be really interesting to see the breakdown of how much time we spend on Facebook reading news as opposed to reading just-for-fun posts. Great idea about leftover recipes, I’ll keep that in mind! Admittedly, I was a bit horrified to find that it tallied to 3 full hours in the past 24, about 2.75 above the level I am comfortable with. But then, somewhat to my relief, the 7 day historical data revealed that I spent 6.2 hours on social media over the past week, 1.3 hours below the average you provided in your post for Millennials and only 30 minutes over the average for US citizens generally. However, I am quick to recognize that with the exception of SnapChat and Instagram, a large portion of my social media consumption occurs on the desktop particularly for Facebook and Twitter (something about the Twitter interface makes it more difficult for me to digest hashtag trends and conversations on mobile. ), which I suspect would push me back up to the Millennial average of 7.5 hours per week. This being said, something I continue to grapple with, which this class has already forced me to confront, is this strong desire to respond to your thought-provoking blog post in person, face-to-face, rather than over the interwebs. I’ve heard it said that 80% of communication is nonverbal and I would go out on a limb at times to argue that it may even be higher. In the context of hours spent, I’m sure the number of times I, or a friend, have had to rephrase or clarify the meaning of a text, email, post, etc. summates to 10,000 hours at this point (bear with the hyperbole) — hours that we could have spent recreating, underwater basket weaving, learning a new skill, and perhaps even cooking! Which brings me to the digital food phenomenon that I find both highly amusing and wildly outrageous: @tinykitchentm on Instagram. The account features videos of tiny food made in a tiny kitchen, everything from tiny enchiladas to tiny onion rings to tiny apple pie. It’s unbelievable. My friend who introduced me to the account claims that she had to unfollow it because it gave her anxiety to witness such precarious precision. Another friend when introduced to the account had this to say: “This person should abandon this career and become a surgeon. Her skills are needed elsewhere.” I don’t disagree. Considering your interest in the digital food craze, it may be worth allocating 0.25 hours this week to scrolling through the Tiny Kitchen feed. How interesting that you were surprised to hear ENFJs are inclined towards social media and even more surprised to check your usage! As for in-person conversation, I’ve noticed a trend among younger Millenials and studies about Gen Z that while these generations were raised on social media, that has actually increased the value of in-person conversation. When so many discussions happen online, real conversation is so much more rare and valued. I have seen some of those Tiny Kitchen videos, and their addictive power is mind boggling! I hate every second that I watch because it’s so ridiculous, yet I continue to watch more. I’ll look into more research on that too. Nice post. I do think personality type is likely a driver of SM use, I think a whole bunch of other things go into it as well. Good, deep post right out of the gate! Thank you! Would love to learn about other personal factors that affect social media use later. Great post! I was actually most caught by one of your potential topics “the impact of the digital economy on agriculture”…. wow. 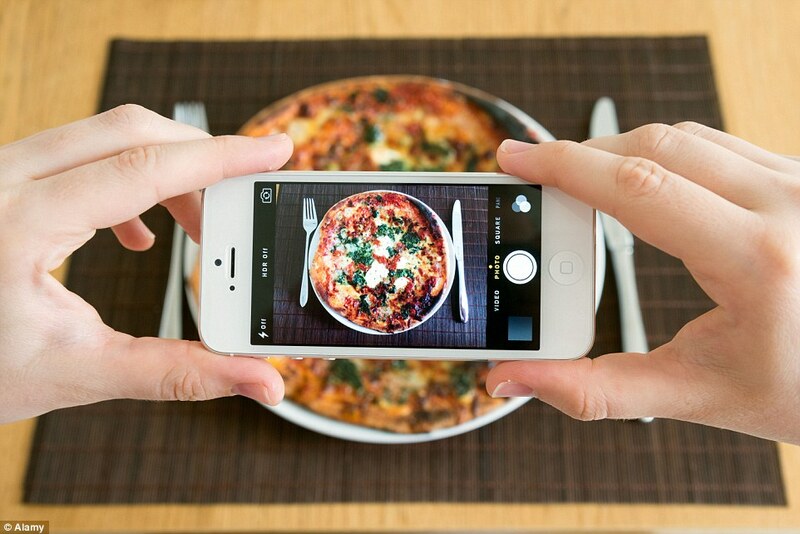 Digital trends in food can reach the eyes and stomachs of tens of millions of people. It would be fascinating to see if agriculture companies saw certain demand spikes as a result of these trends. Whether or not this demand is sustained would be unclear, but nonetheless, it would show that we as a people are influencing our next grocery store visit by the videos we watch online. Fascinating. I’ll definitely make sure to research agriculture since you’ve shown an interest! One example that comes to mind is the proliferation of avocados. They were relatively obscure a few years ago, but after they took to social media, I can’t imagine the demand for avocado farmers now! Really great post Katherine! As an ENFJ I also find myself on social media far more than I would like to admit. I also think you made a great point about the fact that while while this probably isn’t the most effective way to utilize time, it isn’t like it is ruining your social life or hurting your GPA. Another thing that I completely resonated with is the fact that even though people come to the library to study, I would have to say that at least half of the time, people aren’t fully focused on the task at hand. Which makes me wonder, will we be as productive of a generation when we are leading the workforce or whether we will constantly be distracted? Will it be socially acceptable to constantly be checking social media platforms to stay in touch throughout the workday or will it continue to be viewed as an unnecessary distraction? I look forward to reading your upcoming blogposts on Food marketing as I find myself watching plenty of how-to-make videos and pinning really great dishes! Thanks so much! It would be very interesting to find a study comparing the productivity of people who use social media vs the people who don’t. It hurts to think about how much more free time I would have if I didn’t use social media.